I would like to introduce myself and my business so that you can have a better understanding as to what we do and how we are so different from other property management firms. 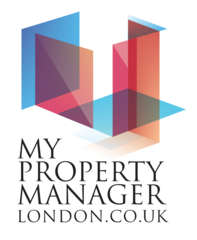 So a little about me, I have extensive experience working in management and property, notably for one of London’s most recognisable property brands for several years. This experienced helped found My Property Manager London. I founded the business because I had a vision of offering landlords more than just property management, I wanted to raise the bar whereby we would help maximise value, reduce cost and increase returns for our landlords. I also wanted to offer a more professional service all for a far lower fee, this became our philosophy and is today at the heart of our approach. My Property Manager isn’t a letting agent; we are a property management firm that is focused on providing non-biased property expertise without any hidden agendas. A firm that offers its landlords professional property management alongside an asset and wealth management service. This allows us the ability to manage anything residential from large portfolios to single units and blocks. We pride ourselves on providing the same professionalism and honesty to all our landlords, regardless of the size of their portfolio. We are a member of NALS (National Approved Lettings Scheme) and The Property Ombudsman. They are professionally recognized self-regulated governing bodies and we abide by their strict codes of practice. These memberships provide our landlords an assurance that they will receive the highest level of customer service whilst acting with integrity at all times. We recognise that each landlord’s needs are different, rather than a one size fits all approach our property asset managers are trained to adapt and advise on landlord’s individual circumstances and aims in mind. Whether it’s a five-year plan with the aim of maximizing your resale, improving your short term yield, to re-mortgaging, investing, renovating, cost reviewing or even retirement planning. We possess the necessary skills and depth of experience to advise you on all aspects of property management with your financial security in mind. We have built a team of experienced and dedicated property asset managers that work closely alongside you and set personal milestones that provide the security and peace of mind that your asset is growing to its maximum potential. This approach to our landlords will provide you the assurance that your asset is truly in good hands.